Cyclesnack: It really is warmer in the woods! It really is warmer in the woods! Saturday was just a raw, cold, fall day here in SW Connecticut. I wanted to ride Waldo but with the kid's activities and such that by the time my wife returned my best shot was just to hit the Gussy again. 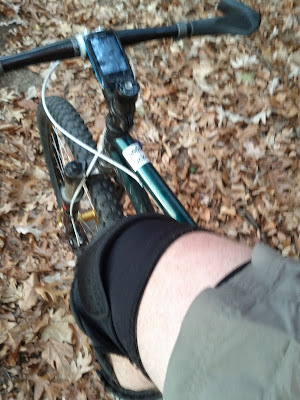 My recent introduction to road riding now has me all confused for dressing for the woods but my new rule of thumb is if it's around 40 degrees (4.4 C) then shorts and two to three layers up top. Riding up the Mulikin gave me more time to look at these silly purple blazes and the only thing I can think of is that they are there to connect people either to the White Trail or just to dispel any confusion coming off the Blue Trail. There is also no bypass to the rutted section but now that I think about it, they might be thinking the lower part of the trail before the turn, which has always been, in my case the Mulikin, but with that tree coming down due to Sandy and thoroughly blocking the trail that by pass that I have been riding for years is now thought of as the main trail now. By the time I got to the top of Mulikin I was really hot and had to take off a few things as I imagined I would. 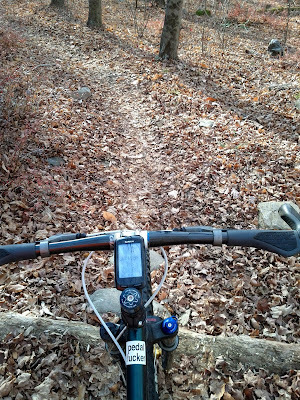 Once on the Gussy I decided to hit the short cut to the Three Bears Roller but found that I really don't like the flow. I know who ever did it is probably reading this post so don't take this the wrong way, but I think a few tweaks here and there would make this a fun downhill trail and open up some additional challenges on the way down before the bears. 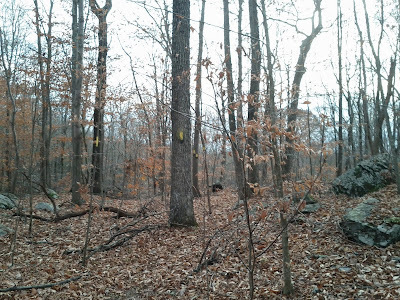 If I am going to rid up the Gussy, I like go out on the Equestrienne Trail, which by the way was one of the original impetuses to build the Gussy because the yellow crossed private land and was really unsustainable. What I like to do is descend the Yellow to the blue, ride that for a little clip and then head out to the Forest Road on the sloppily blazed white trail but then I found some new yellow blazes at an interesting height - looks like someone painted them without getting off their high horse (pun). Basically it connects the Gussy to the sloppily blazed white trail. 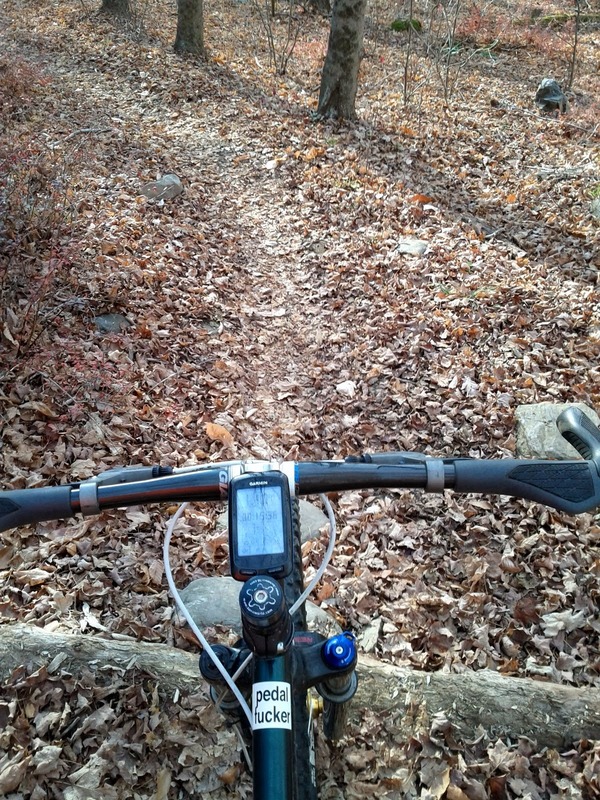 It's really a one way (down) trail trail if you are going to ride it. You could ride it from the other direction with Granny's help. Again, a few tweaks here and there and it could be a fun trail in either direction!